Is Video Enough to Prove (or Disprove) a Driver’s Liability for a Car Accident? We live in an age where just about everything we do can be recorded. In addition to our smartphones, which are essentially portable recording devices, many police departments and businesses now employ dashboard cameras to record constant video of highway activities. This can prove useful in the event of a car accident, although video alone may not be enough to establish a party’s liability. The Tennessee Court of Appeals recently addressed just such a case. The plaintiff was driving down Interstate 65 early one morning. He was in the far left-hand lane. A commercial truck, driven and owned by the defendants, was traveling in the center lane. The plaintiff passed the defendants’ vehicle, initiated his turn signal, and started to merge into the center lane. The driver-defendant failed to slow in time and his truck collided with the plaintiff’s car. The plaintiff sued the defendants for negligence. He alleged the defendant-driver failed to maintain his truck “under proper and reasonable control,” and was driving too fast for the applicable road conditions. More specifically, the plaintiff said the defendant was traveling at 60 miles per hour “while passing a construction scene monitored by police vehicles immediately to his right.” Under those circumstances, the plaintiff maintained, the defendant-driver should have slowed his speed. Before the trial court, the defendants produced a recording taken from a dashboard camera mounted on their truck. The 12-second recording showed the events before and after the collision. The defendants argued the video conclusively established the plaintiff “swerved in front” of their truck and was partially–if not wholly–responsible for the accident. 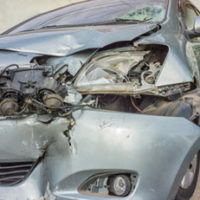 Under Tennessee’s modified comparative fault rule, a plaintiff in a personal injury case cannot recover any damages if he is found to be at least 50 percent at fault for the accident. The trial judge, concurring with the defendants, agreed the video recording proved the plaintiff was “50 percent or more at fault.” There was no need for a jury trial, the judge held, because “reasonable minds could not differ” on this issue. But the Court of Appeals disagreed. “While the recording established that [the plaintiff] changed lanes in an abrupt fashion,” the appeals court said in a written opinion, “the recording also established that [the defendant-driver] did not slow his speed while passing a construction area with police presence.” At the very least, there was a genuine dispute as to the whether the defendant-driver operated his vehicle in a safe manner, and thus the overall “allocation of fault.” Accordingly, the Court of Appeals returned the case to the trial court for further proceedings. Need Help Following a Knoxville Car Accident? Any evidence you can gather from the scene of an accident may be helpful when building a potential personal injury claim. But as the case above illustrates, do not assume that a video recording, standing on its own, will automatically prove or disprove liability. An experienced Clinton car accident attorney can review all of the relevant evidence and make you sure you go into court with the strongest case possible. Contact the offices of Fox & Farley, Attorneys at Law, if you need to speak with a Tennessee personal injury lawyer right away.